MULTIPUPOSE USAGE:-This Bag is a 4Pcs Combo of Stylish Backpack,Crossbody Bag,Handbag and Card Holder Wallet.Whether you are a student, an office going person, or a casual traveller, you will receive good compliments for the bag.Stylish Office use as well as for Trendy College and School students. 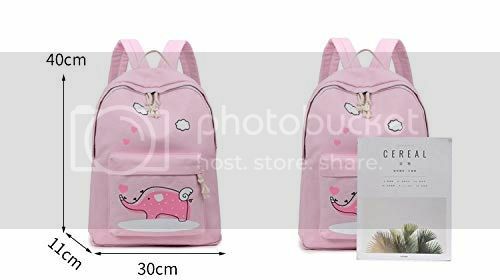 EXCELLENT CRAFTMANSHIP:- This Combo of Bagpack comprises of cute baby elephant and small heart along with a contrasting black design. Adjustable shoulder straps, short top handle and zippered pockets add to its usefullness. MATERIAL:-It is a Stylish Mini Backpack Combo and this Bag has been crafted with High Quality and Lightweight Canvas details and embroidery makes it Elegant and Worthy. SIZE:-Backpack 41CM*34CM*7CM/Crossbody bag 24CM*20CM*4CM/Handbag 17CM*10CM*2CM/Card bag 10CM*9CM*2CM(approx). A GREAT PRESENT: Sure, every college/high school student needs a backpack. Rather, surprise your back to school daughter with this high-end schoolbag sets contain school backpack,crossbody bag,Handbag and Cardholder. It is also a gift idea of Birthday, Christmas, Graduation to your lovely girl. 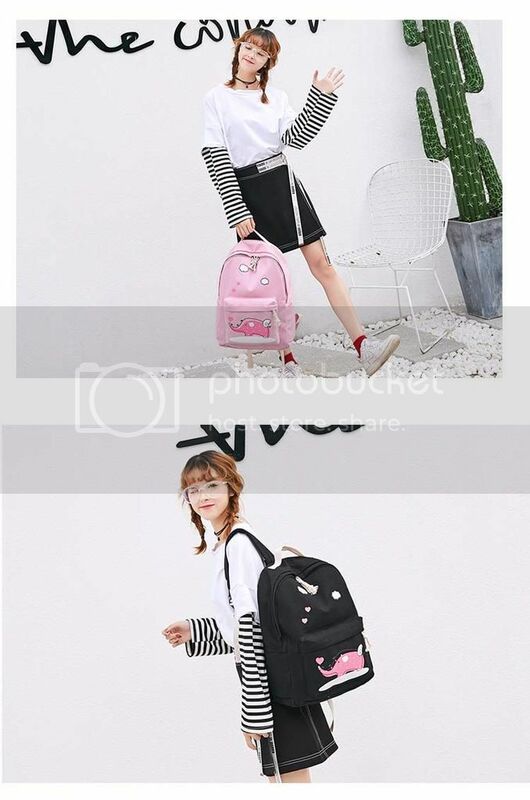 New 4PCS/Set Lightweight Canvas Mini Backpack Women Travel Portable Softback Bag Girl School Bags Women's Cute Small Flower Backpacks.This trendy and modern backpack is designed for the teens and women to make them stand out. Take it to the school or college or for travel, and you are sure to be asked about the bag.Crafted with high quality PU leather, the bag is durable and long lasting.Comfortable and ergonomically airflow padded back panel system and padded adjustable shoulder straps for all day comfort. You can use the 4 bags separately in different way or use them together -Easy to match clothes in different occasions -Varieties and beautiful colors are suitable for young ladies and girls Durable Material. Large Capacity & Multiple Uses -Presented nicely,are all the features of this fashionable bags set -It has plenty of organized storage and it is a perfect way to keep all your essentials -Easily carry your mobile phone, wallet, cosmetic, IPAD, umbrella and other daily things. This is a must have handbags combo collection, perfect for everyday as well party use. Elegant and stylish, these purses provide versatility and are made to withstand years of use. 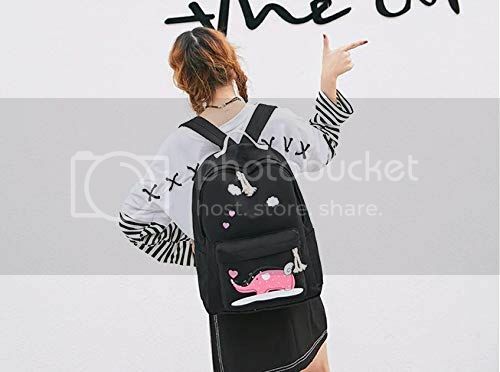 Adding a unique charm to your personality, this combo of women accessory, is spacious and easy to operate.The baby elephant and small heart and cloud design makes the bag look more beautiful.